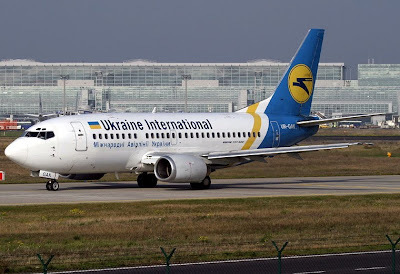 KIEV, Ukraine -- The Ukrainian government said on Wednesday it planned to sell its entire 61.58 percent stake in the country's top airline Ukraine International Airlines (UIA) this year. The government must first offer the stake to existing shareholders -- Austrian Airlines AUAV.VI, the European Bank for Reconstruction and Development [EBRD.UL] and Ukraine's Capital Investment Projects -- according to Ukraine's laws. A spokeswoman for the State Property Fund declined to provide any estimates of the stake's price. Austrian Airlines, a subsidiary of Lufthansa (LHAG.DE), is the largest shareholder of UIA apart from the government with a stake of 22.52 percent. UIA carried 781,000 passengers in the first half of this year, a 23 percent increase year-on-year, the company has said. In December, Ukraine's cash-strapped government plans to sell its majority stake in the fixed line operator Ukrtelecom UTLM.PFT as it seeks to cut budget deficit and finance much-needed reforms.